Gentis Solutions, LLC. ("Gentis") was founded in July of 2015. A Delaware corporation, headquartered in Williamsport, PA, Gentis provides talent and solutions to small, midsized, and enterprise sized clients across the United States. Today, Gentis has active operations across 10 states for staff augmentation, software solutions, and managed services. Gentis was founded by Daniel R Moore ("Dan Jr") and Daniel S Moore ("Dan Sr"). A father and son team with over 50 years of Information Technology and talent delivery experience. Early members of the team included Marissa Bauer as Director of Operations and Danny Brinlee as Chief Technology Officer. 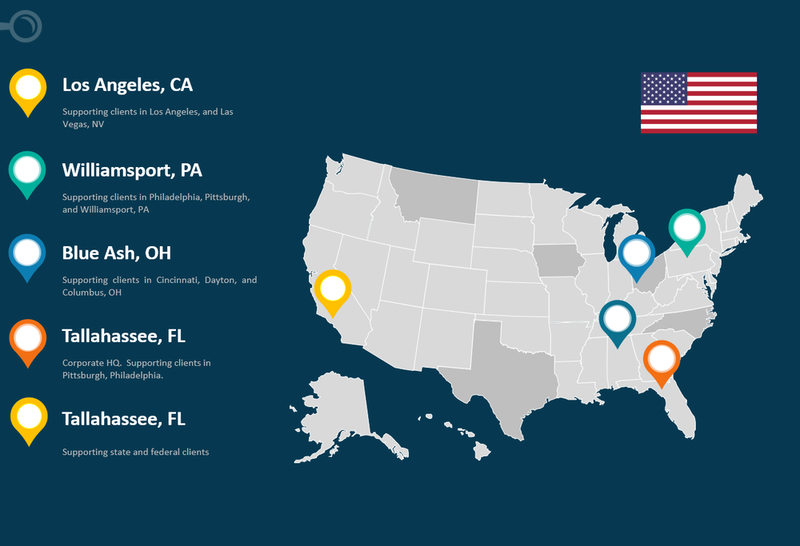 Gentis has active consulting services all across the US. With expansion efforts underway to accommodate our rapid client growth. Gentis is a proud member of the American Staffing Association. The American Staffing Association is the voice of the U.S. staffing, recruiting, and workforce solutions industry. ASA and its state affiliates advance the interests of the industry across all sectors through advocacy, research, education, and the promotion of high standards of legal, ethical, and professional practices. In April of 2018, Gentis applied to the General Services Administration. Gentis is registered under NAICS codes 561311, 561312, 561320, 541618, and 541611 which cover the bulk of the staffing services codes. The GSA, through its two largest offices – the Public Buildings Service and the Federal Acquisition Service – and facilitates the federal government's purchase of high-quality goods from quality commercial vendors. Gentis is a Certified Veteran Owned Small Business. Our registration is available on the VA’s website. Daniel R Moore served in the United States Navy (1988 - 2002), during which time he worked at the Bureau of Naval Personnel using some of the earliest databases and data tools. The U.S. Small Business Administration (SBA) was created in 1953 as an independent agency of the federal government to aid, counsel, assist and protect the interests of small business concerns, to preserve free competitive enterprise and to maintain and strengthen the overall economy of our nation. The SBA helps Americans start, build, and grow businesses. Achieved Rank #2 out of 35 vendors for services in the 1st QTR of 2018 to a fortune 50 client. Awarded Arizona State contract for Information Technology Staffing. Achieved Rank #1 out of 35 vendors for services in the 4th QTR of 2017 to a fortune 50 client.